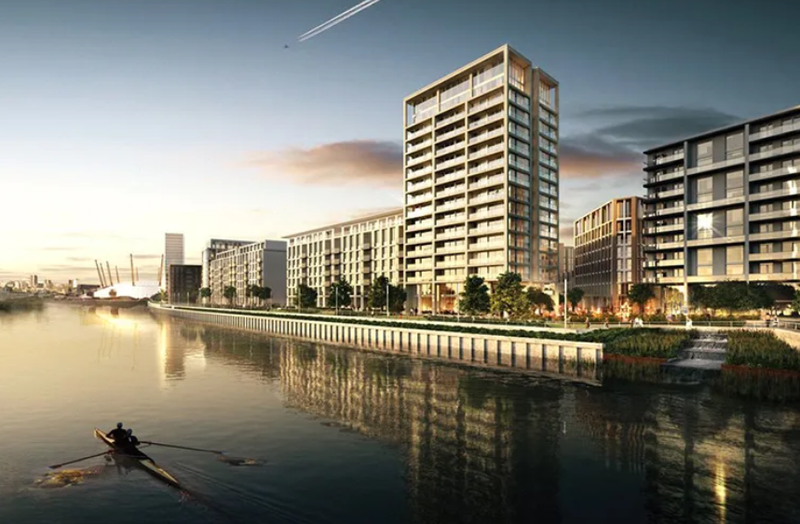 The Royal Wharf development is one of the country’s largest residential and commercial projects, located at the heart of London’s Royal Docks £3.5bn regeneration in the Silvertown district. A joint venture between Ballymore Group and Singapore-listed Oxley Holdings, the 161,874m2 development will deliver a total of 3,385 residential units and 10,000m2 of retail and commercial space when fully completed. Almost 45% of the 40-acre development footprint is planned as public open space, according to the developers, including a 2.4-acre park and a riverfront promenade, while the development will also feature a piazza-style square, leisure facilities and a high street.